You receive a press invitation at the end of February. This year’s Ruhrtriennale takes place from 21st August to 29th September. Music, dance, theatre, performance and fine arts in the former industrial buildings of the Ruhr Area: that’s the Ruhrtriennale. The venues of the Ruhrtriennale are the region’s outstanding industrial monuments, transformed each year into spectacular sites for impressive arts productions. At the centre of all this are contemporary artists seeking a dialogue with industrial spaces and between the disciplines. World premieres and new works are the essence of the programme which makes visiting the Ruhrtriennale an incomparable event. Every season, festival productions from the Ruhr region go on tour around the world. The artists and themes featured in the programme are chosen by Artistic Directors appointed in three year cycles. The Ruhrtriennale’s Artistic Director for the years 2018, 2019 and 2020 is the dramaturg and experienced theatre and festival director Stefanie Carp. 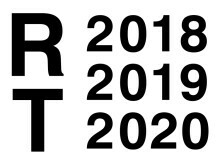 This year's Ruhrtriennale takes place from 21st August to 29th September.